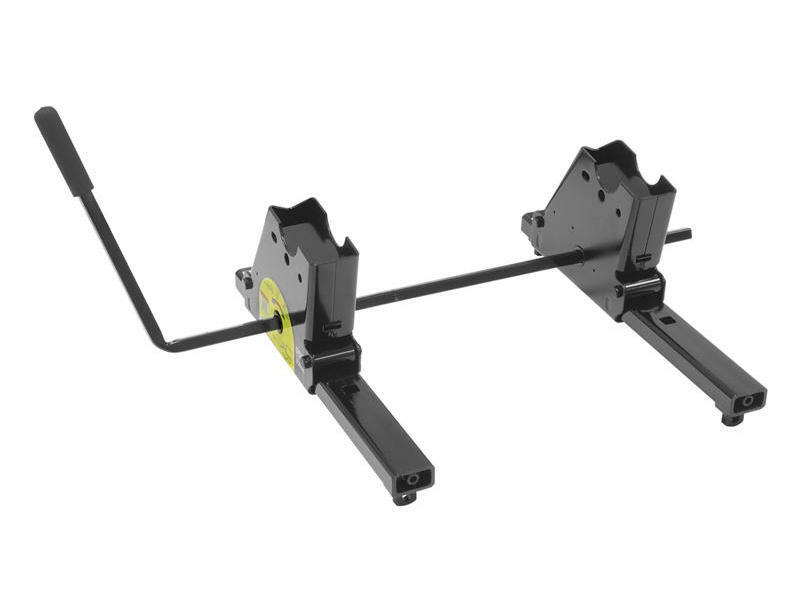 Designed for short bed trucks and extended cab short bed pickups, this square tube slider provides additional turning clearance and prevents damage to truck and trailer in tight turns at low speeds. Will not fit truck beds shorter than 6' in length or Flareside or Stepside. Check clearance between kingpin bed and tailgate before moving to maneuvering position. Note: This product requires the purchase of Universal Rails which must be purchased separately. Note: Universal Rail Kit or Quick Install Brackets must be ordered separately.